Why are some news outlets covering such foolishness? From lip-syncing "scandals" to taking sips of water -- what happened to the news? 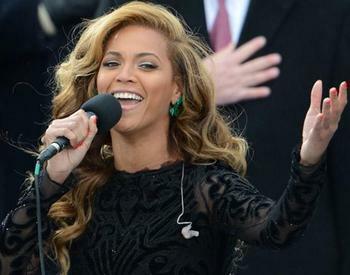 Beyonce lip-syncing at the presidential inauguration. Marco Rubio getting thirsty during his speech and taking a sip of water. President Obama playing golf with Tiger Woods. Stories like these have made news headlines in the last month or so in many newspapers, news shows and local news outlets, and it’s not like they were mentioned after the important reports of the day. In many cases they were the top stories and happened to be among the first things discussed on channels like CNN, MSNBC and other popular news outlets. We're not even talking about cruise passengers having to poop in bags, which is actually not exactly earth-shaking, either, considering that indoor plumbing is a relatively recent development for most of humanity. OK, so what's really news? Well, how about this: last summer, Barclays Bank paid $450 million to settle a claim that it tried to manipulate interest rates to pad its own pockets, which in turn affected how much consumers were paying on their loans. Most of the major news outlets in the United States either chose to cover this huge story very briefly or simply ignored it altogether, which seems to be a continued pattern of hard news outlets going with either the softest news possible or choosing stories that are completely frivolous and do nothing to help the viewer. In research conducted by Media Matters in 2012, it found that within 15 days of the Barclays story becoming public, CNN, NBC, Fox News, CBS, MSNBC and ABC covered the story for 12 minutes combined. Combined. Media Matters also pointed out that from June 27, 2012 to July 12, 2012, when the Barclays story was in full swing, the evening news on each of these oulets spent a whopping 91 minutes on stories about Tom Cruise’s divorce from Katie Holmes, and these same stations also spent an additional 65 minutes on animal attacks around the U.S., namely shark attacks and a zoo mishap where a chimpanzee attacked an American student at an African animal reserve. On January 22, 2013, when the Beyonce lip-syncing "scandal" hit the airwaves — and yes, some actually called it a scandal -- it was the main story in many major news outlets and in some cases newscasters talked more about her lip-syncing than the inauguration itself. And instead of newscasters discussing the ins and outs of Marco Rubio’s response to President Obama’s State of the Union address, most news shows went on at great length about the guy taking a nip of his Poland Spring water bottle. Drinking water is newsworthy now? In fact, when you do an Internet search on Rubio’s State of the Union speech, there seem to be just as many references to “Bottlegate,” as it’s ridiculously called, as there are about the actual speech. The media’s insistence on covering these trivial incidents has caused many viewers to develop an unhealthy dose of skepticism about the more serious stories being reported. According to the Pew Research Center for the People & the Press, the public’s opinion of major news outlets has continued to drop over the years, as the overall positive believability rating with the major news outlets is currently at 56 percent, which dropped from 62 percent in 2010, which also fell from 71 percent in 2002. In a 2010, a survey by the company Rasmussen showed that 87 percent of Americans believe the media pays far too much attention to celebrity stories, but it also showed that 84 percent of those same people surveyed believed American consumers would rather turn to celebrity news than more important stories. In fact, if you read some of the celebrity-driven stories on the Internet and see the comments readers post, you’ll see that, indeed, there seems to be a heavier interest in lighter stories compared to serious ones, which may cause a person to ask if consumers would rather read about Beyonce or Tom Cruise rather than what happened with John Brennan during his Senate confirmation early this month. And it’s not just celebrities that are taking over the airways these days, as everyday there seems to be a new story about a murder trial involving a physically attractive suspect like Jodi Arias or an extensive report about a dumb Internet dance craze becoming popular. Do you remember the story about the guy who said his son flew off in a balloon a few years ago? It seems like since then, there has been an increase in stories with snazzy headlines that serve as a quick fix for people, but do little to inform viewers about the events that impact their everyday lives. And it’s doubtful that things will turn around anytime soon, as program directors and show producers continue to be on the chopping block if they don’t pull in strong ratings, so they might say to themselves, "Why not go with a Marco Rubio water story as long as it entertains? I mean, getting good ratings only comes at the expense of the American public, right? But it's the American public that "votes" for this stuff by turning aside from more serious publications and broadcasts. On the other hand, journalism is supposed to be a profession, not a business. Journalists have an obligation to cover serious news of major public import. If their bosses would rather cover flying squirrels, maybe serious journalists have an obligation to go work somewhere else.